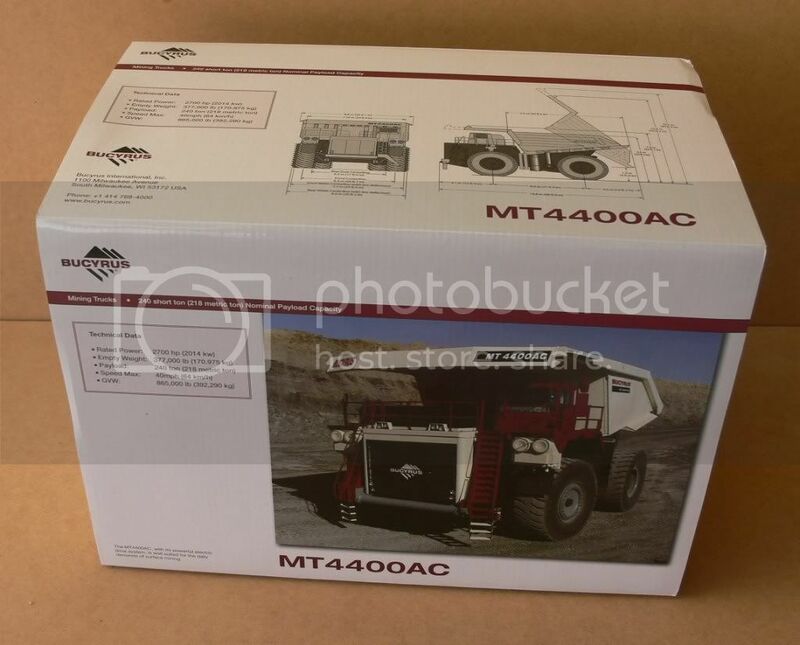 I just received my BYMO Bucyrus coloured re-named Terex MT4400AC Dump Truck…. I think it looks pretty good. 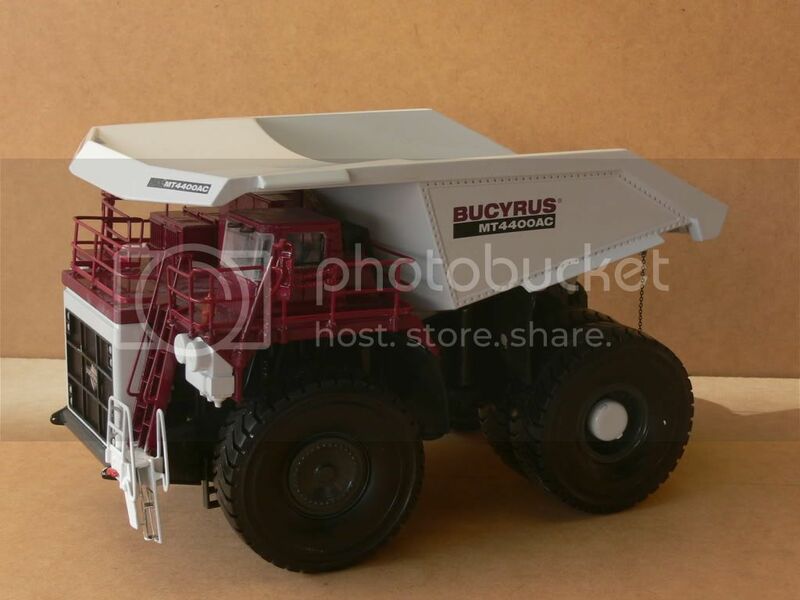 I bought it through the Bucyrus International Merchandise Web Site. 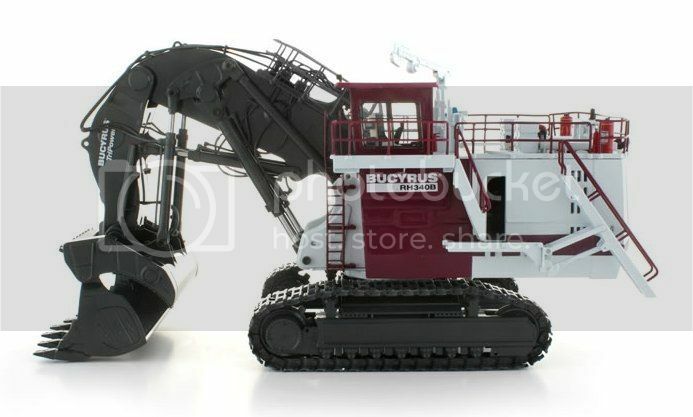 I can’t wait to see further Bucyrus coloured models hit the market. 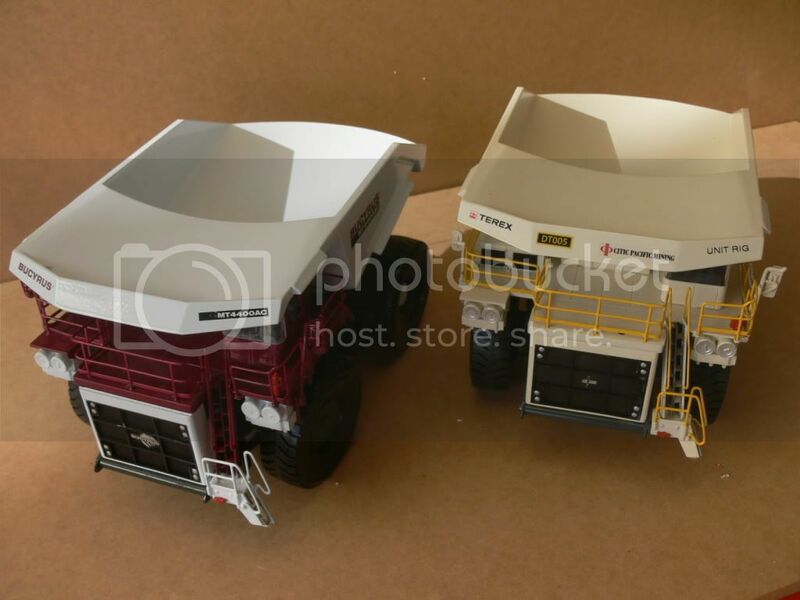 Rather than custom painted models, I’d like to see the various other size old Terex Dump Trucks, like the MT3300AC, MT3700AC & the MT6300AC. Think I'm going to have to wait a while longer for those Bucyrus colors to grow on me. Interesting model though, thanks for sharing. I love the colours, thanks for sharing! Very original. These trucks must stand out in an all-white fleet. 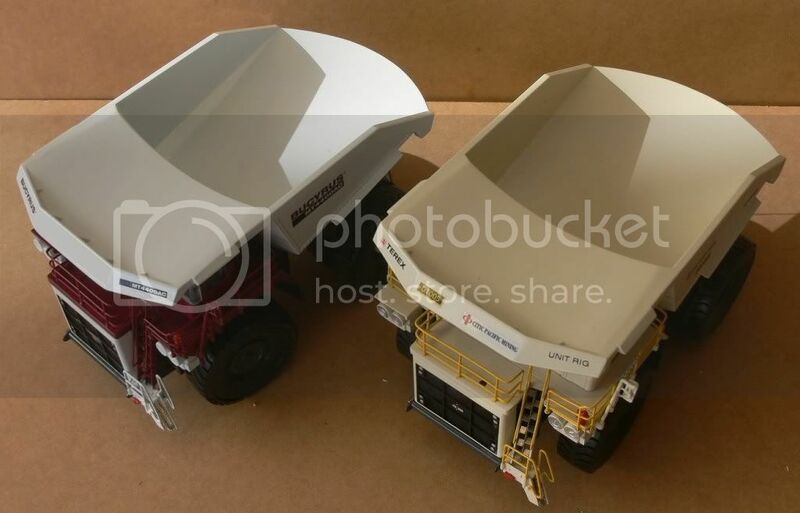 Also like the shape of the skips. Quote: "I don't know who did the custom paint job, but it has been very well done"
Curious, what makes you think this was a custom paint job and not painted at the factory? Seems odd to me that the packaging would all be redone professionally for a custom paint job. They are in effect a custom paint job. I don't believe I'm allowed to go into details, but they did not come out of the factory in those colours. It's growing on me. I think I just need to see more photos on the 1:1 machines in the field. Nice addition to the collection! Its curious how the new colours seem to change the shape of the model, much like dazzle camouflage, just like some cars (or women) look better in certain colours. That certainly gives a new look to mining trucks with the colors. I would love to see an RH340 repainted in Bucyrus colors as well. I hope it's something that's being considered by the company. I'm surprised nobody has posted it yet....or if they did, I missed it. 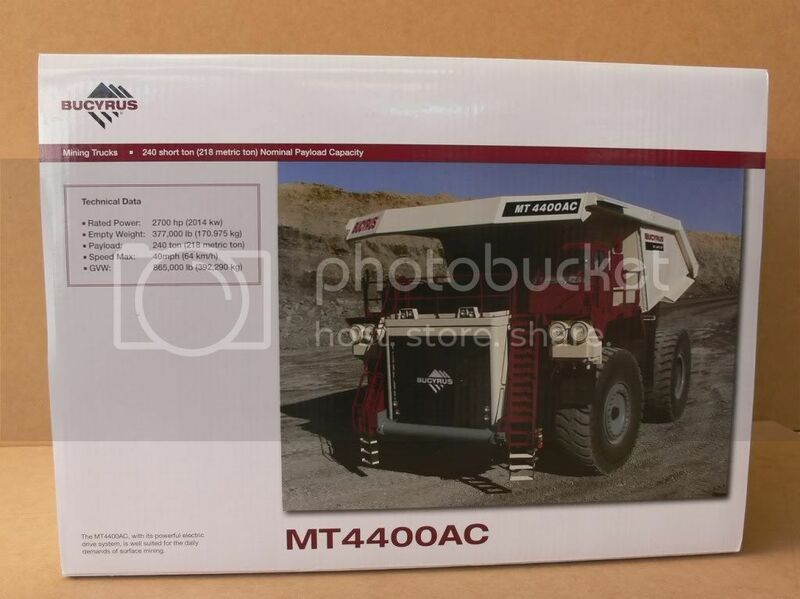 The MT 4400AC and RH340B models are available exclusively from this site or the Bucyrus merchandise online store.The backhoe version should also be available soon. Awesome, thanks for posting that, Brian! I hadn't checked the Bucyrus site since the truck was added. 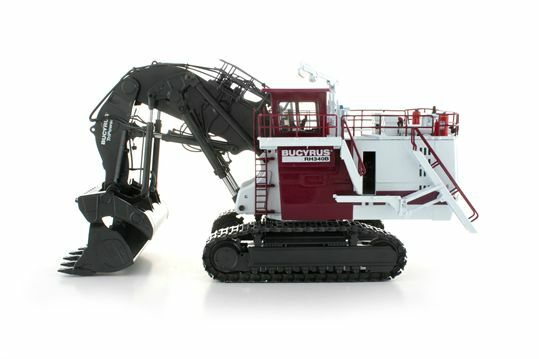 I'll definitely be getting this one to replace my smoked/damaged Terex RH340 shovel. 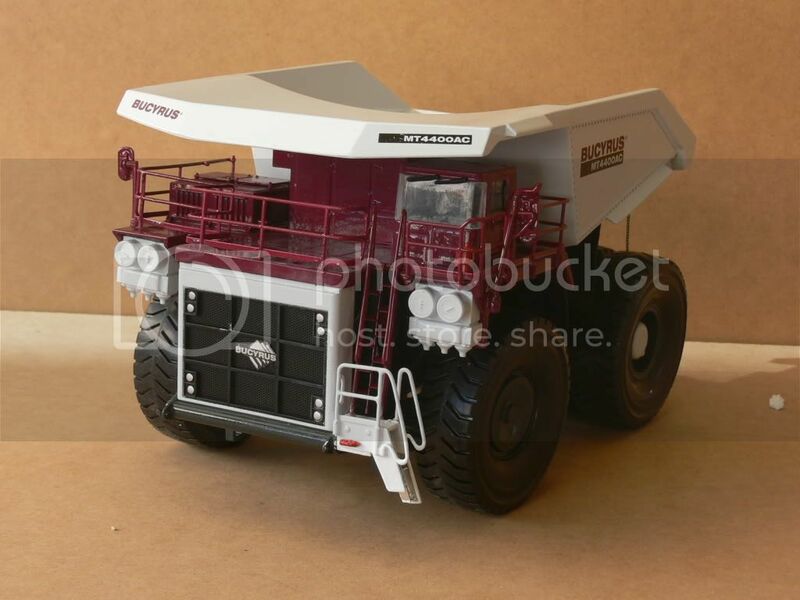 Will this model only be available through the Bucyrus models website or available through international dealers?